THURSDAY, APRIL 18, 2019 | 3 to 4:30 P.M.
Anthropogenic change, especially urbanization and climate change, is challenging all organisms, including humans, to adapt. Evolutionary ecologists predict that behaviorally more flexible animals, especially those that learn and transmit information socially, will adapt most successfully. Crows and ravens (Corvus sp.) fit this idea of behaviorally flexible, generalist species with plenty of cognitive capacity; indeed, a number of Corvus species are now well-established in urban areas worldwide. 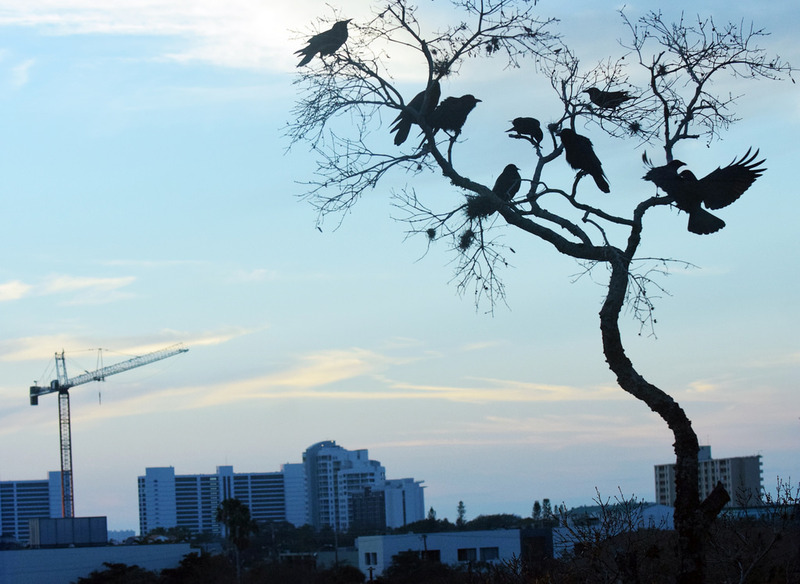 Based on her thirty-year study of one population in Ithaca, New York, Clark will introduce the complex social world of American crows, how they do or don’t fit the expected “urban adaptor” and also how even small cities are dynamic environments that continue to challenge them. Clark will also extend the discussion to crow species globally, the scientific and ecological value of this surprisingly diverse group, and the possibility that many crow species could disappear in the face of complacency and anthropogenic change. Clark received her PhD in evolutionary biology at the University of Chicago. Her lab researches ecology and evolution of non-human animal social behaviors.